The Piton de la Fournaise volcano on the Reunion Island erupted on Sunday (September 11), a surprise treat for some lucky 250 locals and tourists who happened to be hiking on trails nearby. Onlookers gazed from a cliff as molten lava reaching heights of up to 30 meters spewed from the volcano's central crater. This was the second eruption this year for the Piton de la Fournaise, one of the most active volcanos in the world along with Italy's Mount Etna and the Kilauea in Hawaii. The location of the eruption posed no direct threat to the population though authorities have shut down certain hiking trial and nearby areas due to harmful gases and high temperatures. 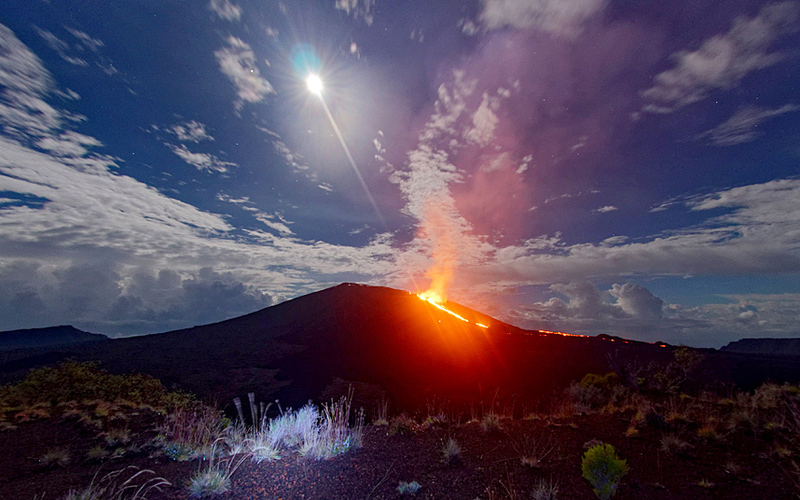 The Piton de la Fournaise has erupted more than a dozen times in the past 10 years, prompting thousands of people to flock each year to the Island to admire the spectacle.